2nd George Digalakis, Athens 49pts. Nikon D7000, 11-16mm, 332secs at f/22, ISO 100, Hoya ND 500 and Hoya ND 16 filters. This ghostly image was taken on the Attica coast in Vouliagmeni, Greece. It’s the kind of shot that could only have been achieved with the right combination of filters and a seriously long shutter speed. The image also benefits from the eerie rock near the centre that almost looks as if it could be a lonely swimmer. 3rd Anita Nicholson, Northumberland 48pts. Canon EOS 7D, 10-20mm, 2secs at f/11, ISO 100, Lee 0.9 hard grad filter. This image was taken one January evening. A sudden burst of colour at sunset frames the tree and catches the winter grasses at Sycamore Gap on Hadrian’s Wall in Northumberland. It’s an image that bursts with vibrancy and captivates with its simple use of composition. Tomer Eliash, Israel 47pts. Canon EOS 5D Mark II, 24-105mm, 1/100sec at f/16, ISO 1,250.This photo, of a tractor ploughing a harvested cotton field, was taken from a hot-air balloon above Israel’s Jezreel Valley just after dawn. Alastair Batchelor, London 46pts. Canon EOS 450D, 10-22mm, 30secs at f/6.3, ISO 100 Taking this image at the Barbican Towers in London, Alastair explains, ‘I used my Manfrotto Superclamp to attach my camera to the handrail for a unique perspective’. Denis Dowland, London 45pts. Canon EOS 700D, 18-135mm, 1/800sec at f/8, ISO 200. Denis found this fantastically unconventional shot at South Quay, Canary Wharf in London. The fog has diffused the light beautifully. Sigita Playdon, Ireland 45pts. Canon EOS 6D, 17-40mm, 25secs at f/18, ISO 100, Lee Little Stopper, ND soft grad. This image is excellently composed. It also goes to show that filters don’t have to be the reserve of epic sweeping landscapes and seascapes. Simon Anderson, East Sussex 43pts. Nikon D7100, 70-200mm, 1/50sec at f/2.8, ISO 400. The object you see here is in fact a crystal ball that Simon happened to have in his bag. Lee Acaster, Suffolk 42pts. Canon EOS 5D Mark II, 1/60sec at f/7.1, ISO 100. Lee spent an hour standing in the rain until finally there was a brief moment of light. Adam Stephenson, Worcestershire 41pts. Nikon D7100, 16-85mm, 125secs at f/11, ISO 125, ND filter. ‘The clouds were fast moving, so I decided to do a super-long shutter speed,’ says Adam ‘Because of the curvature of the field, the wind didn’t affect the corn’. John Boteler, Oxfordshire 40pts Canon EOS 60D, 10-20mm, 77secs at f/22, ISO 100, Lee Big Stopper. The toning works well here. It adds a sense of tranquillity to an already minimalist image. Richard Bond, Hampshire 39pts. Nikon D5200, 35mm, 1/250sec at f/1.8, ISO 200. Richard has utilised the strong dusk light to highlight this curved bench on the coastline. Cristian Agostini, Italy 38pts. Canon EOS M, 18-55mm, 1/80sec at f/5, ISO 400. By enhancing the mood in Lightroom, Cristian has achieved an image that brings to mind the fairy tales of yesteryear. Norman Raine, Staffordshire 37pts. Canon EOS 6D, 70-200mm, 1/125sec at f/11, ISO 200. ‘I placed my camera on a beanbag, on top of a fence post, and then waited for the couple to walk into position,’ says Norman. John Carracher, Angus 36pts. Canon EOS 5D, 70-200mm, 0.6sec at f/14. This ethereal pan-stitched image is the kind of shot you could stare at for ages. 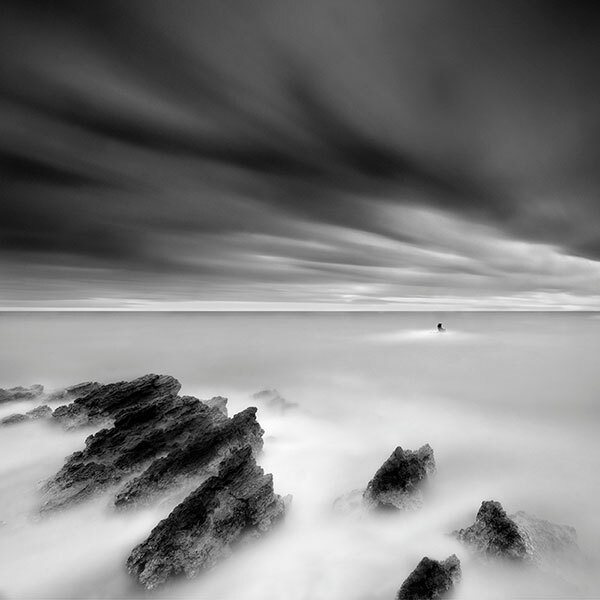 Nigel Jones, Kent 34pts Canon EOS 5D Mark II, 24-105mm, 10secs at f/13, ISO 100. This shot is of Sgwd-yr-Eira, or Snow Falls, on the Afon Hepste river in the Brecon Beacons, in South Wales. Derek Robertson, Edinburgh 33pts. Sony Cyber-shot DSC-RX100 III, 1/640sec at f/7.1, ISO 125. By tilting the camera, Derek has played with the perspective created by the grid on the ground. Alf Bailey, Merseyside 32pts. Nikon D7000, 24mm, 105secs at f/16, ISO 100, 10-stop filter. Shooting through the mist has ensured diffused light and a softly focused landscape. Mark Cornick, Surrey 30pts. Canon EOS 550D, 10-20mm, 30secs at f/8, ISO 100, Lee Big Stopper. ‘Winter fog created this ethereal effect and shrouded the skyscrapers in the distance,’ says Mark of this shot of Canary Wharf, London. David Fletcher Tyne and Wear 29pts. Canon EOS 7D, 10-20mm, 125secs at f/9, ISO 100. David has found an ingenious mimic of the Angel of the North with this mushroom. Dayle Salmon, Staffordshire 28pts. Nikon D3200, 18-55mm, 1/13sec at f/13, ISO 200. Shot atop Mam Tor in Derbyshire, Dayle has captured an entire palette of hues with this Peak District vista. Morris Conlan, Midlothian 27pts. Sony Alpha 350, 18-70mm, 1/320sec at f/13, ISO 200. The simple technique of leading lines makes for a thoroughly engaging image. Stan Venitt, Surrey 26pts. Canon EOS 10D, 100-400mm, 1/1000sec at f/11, ISO 400. This image was taken from an elevated position on Coombe Hill in Buckinghamshire. Stuart Hall, Pembrokeshire 24pts. Nikon D90, 18-200mm, 1/60secs at f/11, ISO 200. The Foel Drygarn hill fort just outside Pembrokeshire enjoys a sliver of sunshine caught here by Stuart. Mirela Bogdan, London 22pts. Canon EOS 450D, 18-55mm, 1/250sec at f/9, ISO 200. ‘This is a view of the city at sunrise through one of the windows of my flat,’ says Mirela. ‘It’s part of an ongoing project I’m shooting, titled “Outside my Window(s)”’. Tom Lowe, Tyne & Wear 21pts. Canon EOS 6D, 16-35mm, 25secs at f/16, ISO 100. ‘The tide height here was perfect for revealing the texture and patterns left in the sand, which made for great foreground interest in this shot taken in Whitley Bay,’ says Tom. 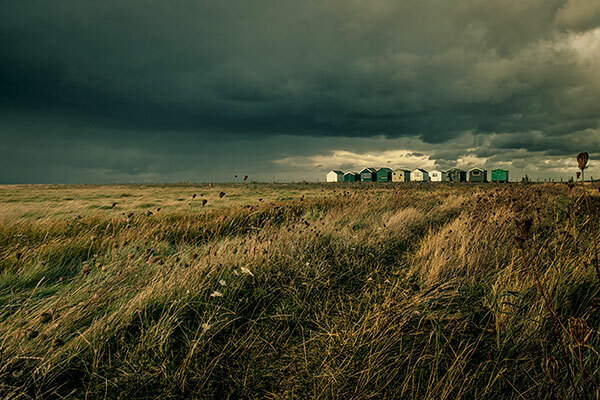 Michael Marsh from Kent is the winner of Round 7 of APOY 2015. He takes home a Sigma 150-600mm f/5-6.3 DG OS HSM | C lens and Sigma USB Dock worth £1,238.99. The Sigma 150-600mm f/5-6.3 DG OS HSM | C aims to achieve the best optical and action-capture performance to meet the requirements of professional photographers while maintaining a lightweight and compact construction for higher usability. Sigma has put special emphasis on the lens’s optical performance by the incorporation of one FLD and three SLD glass elements, optimisation of the lens’s power distribution and minimised chromatic aberration. What matters most with a hyper-telephoto zoom lens is the image quality at the telephoto end, and this lens offers brilliant performance. In addition, distortion throughout the focal range is well compensated. In order to ensure this is a hyper-telephoto zoom lens that is also equipped for shooting in the field, it is dust and splash-proof and incorporates a detachable tripod socket for higher usability. The Optical Stabilizer (OS) function features an acceleration sensor to ensure higher precision even when handheld. Two OS modes are available: mode 1 for general photography and mode 2 for motor sports and other applications requiring panning. In mode 2, the acceleration sensor teams up with the Intelligent OS and its updated stabilisation algorithm to deliver effective stabilisation while you move the camera horizontally, vertically or diagonally – regardless of the position of the lens. By connecting the USB cable to a computer, the Sigma USB Dock enables photographers to update the lens firmware and customise features of the lens to their requirements. The adjustment is processed with specially designed software, Sigma Optimization Pro, which is available as a free download from Sigma’s website. This ghostly image was taken on the Attica coast in Vouliagmeni, Greece. It’s the kind of shot that could only have been achieved with the right combination of filters and a seriously long shutter speed. The image also benefits from the eerie rock near the centre that almost looks as if it could be a lonely swimmer. This image was taken one January evening. 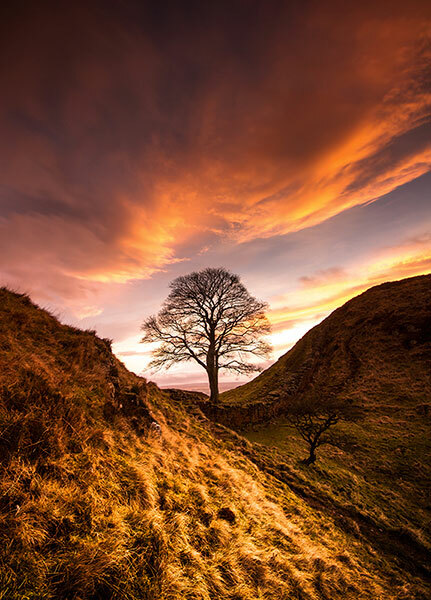 A sudden burst of colour at sunset frames the tree and catches the winter grasses at Sycamore Gap on Hadrian’s Wall in Northumberland. It’s an image that bursts with vibrancy and captivates with its simple use of composition. Lee Acaster has held on to first place despite not scoring in the previous two rounds. In second place, and 30 points behind the leader, we find that Chris Evans is holding steady, while Tomer Eliash has leapt from eighth place to a very impressive third.